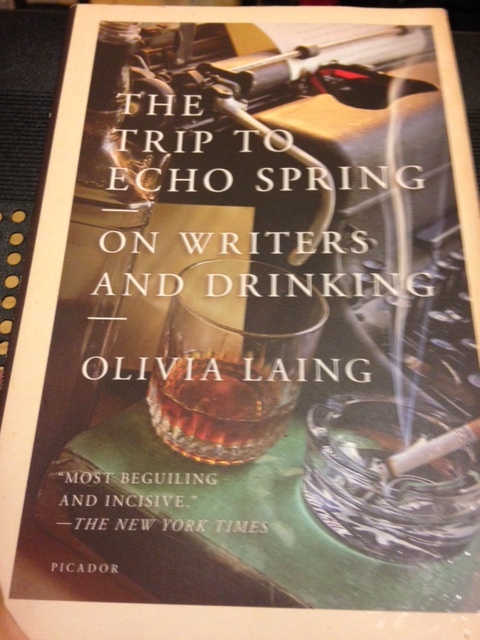 Although I enjoyed learning about the lives of some of America’s greatest authors and their relationship with drinking, I finished Olivia Laing’s “The Trip to Echo Spring” wishing that there had been a little more to it. It may have been naive for me to expect to find a definitive answer as to why drinking and literary genius seem to mesh so well, but I picked up this book hoping to do just that. I guess the lack of an answer really shows how slippery alcoholism can be. This book is the second instance in my budding (more like flopping around confusedly) writing life that has insinuated that in order to be a great writer one must also be a great alcoholic. A professor of mine used to joke about this quite a bit: grab a drink, write a sentence, grab a lot of drinks, write a book. Call me a stick in the mud, but I never found it all that funny; it rings too true to be funny. In all, Laing’s book provided a nice peek into the drinking lives of various authors, but don’t expect it to offer any answers. This entry was posted in Book Reviews, Other and tagged Alcoholism, book review, books, nonfiction, Olivia Laing, The Trip To Echo Spring. Bookmark the permalink.